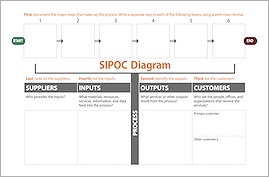 If your organization has used Lean to some degree, but more progress can be made, we can help. With Next Level Lean, you get a fresh perspective, new ideas, and a deep source of organizational experience and capacity-building know-how. Our facilitative approach ensures that the resulting action plan is your plan. The first step is to learn more – about your efforts and accomplishments to date, goals and objectives going forward, gaps and opportunities, and so on. 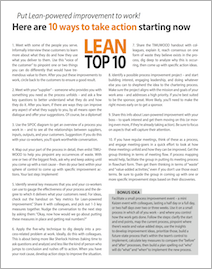 We use this information with you to build a plan for taking Lean to the next level. Included in the plan are a meaningful vision, right-sized goals, and a clear set of next steps. Then it’s on to implementation. Our involvement is defined in the plan, narrowed to activities where we truly add value. This can involve training, coaching, improvement-project scoping, project facilitation, and more. 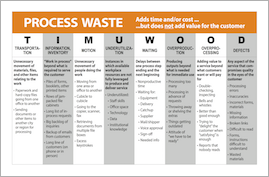 Communication is often a missing component when it comes to building Lean into how an organization thinks and operates. We can help you make it a strength. Approaches range from building web pages to developing a reporting process to coaching people to be influential storytellers – and more. 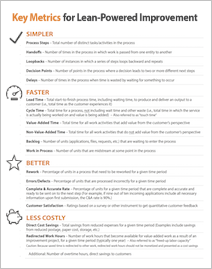 When we conclude our work with you, your Lean effort will have greater clarity, energy, and momentum.